When choosing a photographer, an important consideration for most people is the cost involved in booking a shoot and purchasing prints or digital images. You have a budget in mind and are looking for good value. How you determine those things depends to a large extent on what a great photograph means to you, and your understanding of what goes into creating one. Photography is so accessible now, most of us have digital cameras in our phones capable of producing fairly decent images, and an Instagram filter for every occasion. Then, for those who do want a professional job done, there have never been more photographers to choose from. So why would anyone consider paying (or asking for) more than the commodity rate? Because for some people getting the right images and having a great experience doing it is not a commodity choice. It’s a personal one, just like buying clothes to look your best in, or choosing a piece of art. And for others it’s a one time opportunity for that special moment in their life or business, so they want to feel assured of getting an excellent service and images to match it. With a good portrait, wedding or event photographer you’re not just paying for consistently great images you can rely on (your time is valuable too), you’re paying for the experience being a smooth and enjoyable one, for their skill and creativity in helping you relax and look your best, as well as the hours you don’t see, in preparation and in processing the images after the shoot to add those final little touches of quality. All these factors together are why great images are an investment in precious moments and memories. If you would like to compare my services with other offerings, it’s worth being informed so you know what you’re really comparing. So here’s a guide for how to compare the price, quality and value of a photographer. Special promotion, currently 50% off advertised photo session prices! Location shoot prices are the same as above for my studio photography sessions, with any travel and hire expenses added. Please get in touch to discuss your requirements. Photo sessions normally last between 60 and 120 minutes. Shorter or longer times can usually be accommodated on request and depending on the brief and number of images required. After the images have been processed you’ll have the opportunity to buy the ones you love. No obligation to buy and no pressure selling here. 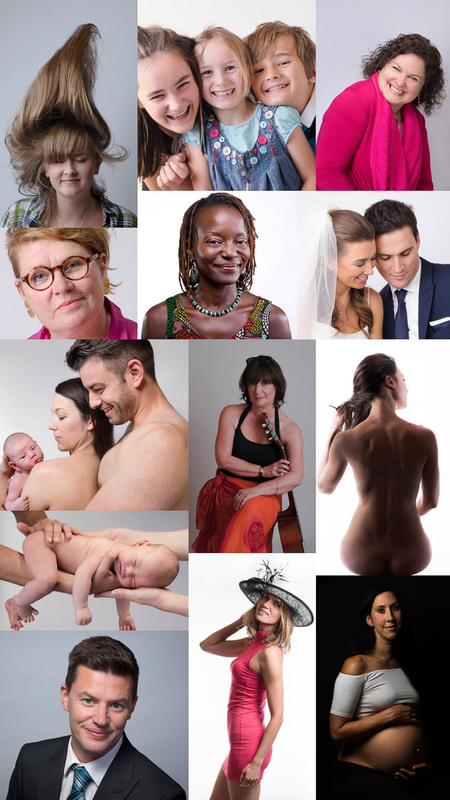 All photo sessions include 1 complimentary 6×4 print of your favourite image. Get in touch to discuss your requirements and when you’re ready, book your portrait photo session here. Postal delivery is £5 for sizes 10×8 and below, £10 for larger. *A range of papers and finishes (inc gloss and matte) are available for photographic prints, to suite your taste and the intended space for display. All paper and canvas prints are made using the Giclée process with Fine Art Guild certified printers, for museum exhibit quality results. Other sizes and formats, gift boxes and framing options available on request. For those extra special image collections and occasions I offer beautifully presented and bespoke designed photo book albums. Ordering a digital version for print too? Then you can get 25% off your print for that image. Want multiple copies for friends and family? Get 15% off when you order at least 2 prints of the same image at the same size. If you’re unsure of what print or finish to choose, or why it’s worth getting your prints made professionally, see my ‘getting your prints’ guide. Prices for images from portrait photo shoots, in studio or location, for personal or personal business use*. Images are delivered as a digital file. The price per image depends on number of images ordered and how you want to use those images. The more you order, the cheaper it is per image. Image files for print usage are of high resolution to produce sharp, well defined, enlarged prints. Images for online usage (e.g. profile or website pics) are supplied in lower resolution suited for display on HD monitors and phones. Print usage orders include additional lower resolution versions for online usage as well. If you have a specific number of images you want you can use the table below to find the price. With both, files are provided on a premium USB3 stick. * See licensing info for details. Above pricing for events is for my time and the supply of digital images. Travel expenses are not included. A quarter day is anything up to 2 hours, half day up to 4 hours, full day up to 8 hours. The number of images delivered typically ranges from 50-400, depending on the type of event and the brief. Please note that the style of shooting and level of digital finishing differs between event coverage and portrait photo shoots. If you’re looking for higher end production values as you’d find in a portrait session for your event photography, please get in touch to discuss your exact requirements. I aim to provide a high-end service and standard of photography for your wedding. I also take bookings for destination weddings within the UK and abroad. All images expertly processed and delivered in high-resolution digital format (USB stick), suitable for printing, as well as smaller versions, ideal for posting online. One-to-one consultation to discuss the timings of the day and any specific requests for the shot list for your wedding. Online gallery to make it easy to share your beautiful wedding photos with friends and family. Affordable options for beautiful, heirloom quality prints and albums. Ideal for smaller or low-key weddings, covering the bride’s arrival, the ceremony and reception. Up to 5 hours coverage. ~ 250-400 images. Documenting more of your special day, this package includes getting ready shots, the ceremony, complete reception, first dance, wedding breakfast and more. Up to 9 hours coverage. ~ 400-700 images. Limited special promotion, 20% off advertised wedding photography packages! While you have the option of creating your own prints from the high-resolution files provided with all my wedding packages, I can offer beautifully made, fine-art prints and albums that will bring many years of joy as family heirlooms. Available in a range of modern and classic finishes, all individually designed. Use prices below as a guide based on size and page number, since all albums are made bespoke for you. 30 side albums contain up to 90 images, 50 side up to 150 images and 70 side up to 210. Medium page size is approximately A4 (different aspect ratios available), large ~ A3 and extra-large ~ A2 in size. For fine art and photographic print prices, please see the portrait print prices. Framing options start from £50 and depend on size and style. The costs involved will depend on the type of image(s) commissioned, the reproduction size and finish required and the place of intended display. For new work commissions, prices start from £800. This includes research, travel time, consultation and digital finishing. Exhibition quality reproduction options start from £200, including framing and secure delivery.